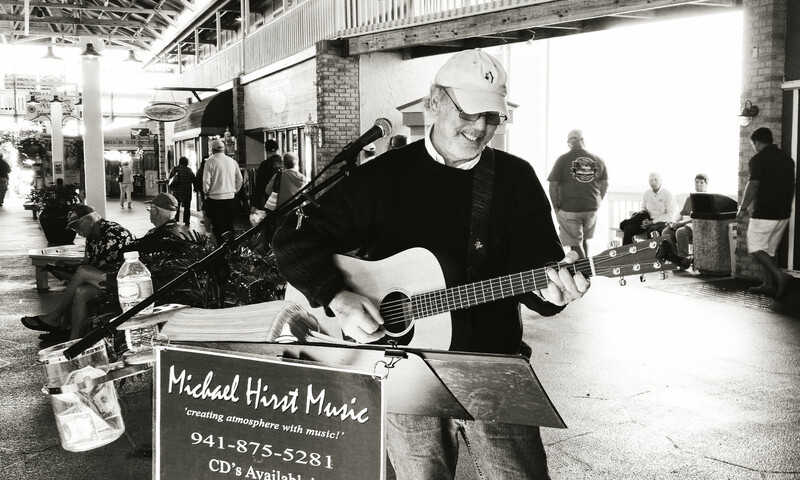 Michael Hirst is an acoustic singer/songwriter, musician, and performer living in Punta Gorda, FL. He regularly performs throughout Southwest Florida and does a ‘Traveling North’ House Concert Series each summer (USA & Canada). Time: 4:00pm. Address: 25538 Shore Drive. Venue phone: 941.637.2606. Time: 5:00pm. Address: Fisherman’s Village. Time: 2:00pm. Address: 25538 Shore Drive. Venue phone: 941.637.2606. Mike’s acoustic style stems from a blend of influences like James Taylor, Jim Croce, Gordon Lightfoot, Jackson Browne. Each summer, Michael and his wife Donna travel north for a few weeks to visit and entertain their snowbird friends in the Northern US and Canada.